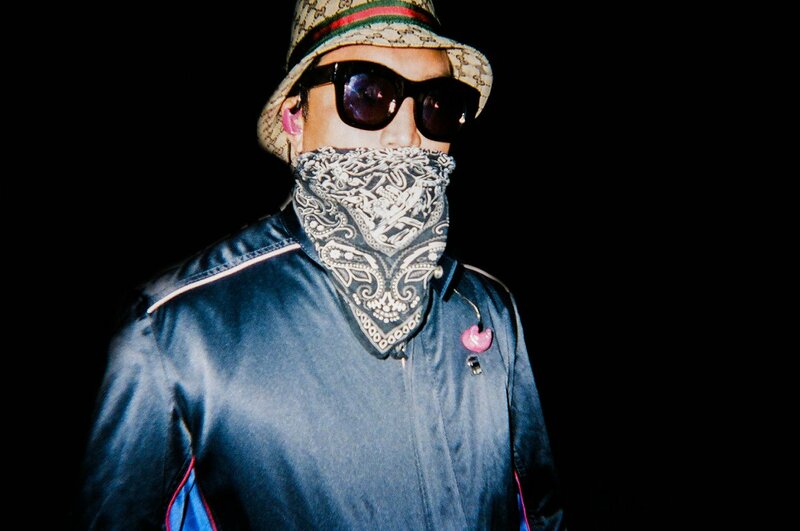 Chad Hugo doesn’t do many interviews. He’ll turn up every couple of years, seemingly just to say hello and share what he’s been up to. Usually, it’s making music. Interviews, when they do arrive, often reaffirm Hugo’s dedication to his craft and disinterest in gossip. Hugo is well past the point of needing to boost his profile—but even early on, when The Neptunes and N*E*R*D were fresh voices rather than archetypes, Hugo demurred when the spotlight turned his way. Now that he’s one of music’s luminaries, the taciturn personality has, somewhat accidentally, enveloped Chad Hugo in an air of mystery. Did you do anything special for the set last night? I played the Venova, the Yamaha Venova. It’s a plastic saxophone and a recorder. It’s cool to see the people will respond to the hard work I put into these records. It radiates through the crowd, and it helps me to remember being in the studio late night, and working on those songs and here I am playing it. When did you start playing saxophone? My brother plays the alto. I have an older brother, and in fifth grade I took up tenor. It’s what they were playing in pop music at the time, and it was prevalent in a lot of hip-hop—there are a lot of Tom Scott samples, like in “They Reminisce Over You.” I was trying to be that horn player. When The Neptunes were a band—we were a band first, me, Shay [Haley] and this other kid singing. We were like the Fugees, the all-male Fugees if you will. I was like a tech guy, played the sax, mixed with the jazz aspect to it. We did the high school talent shows, and the studio was right across the street from Pharrell’s high school. Your kids make music too, right? Do they play instruments, or have they been more attracted to the production side? There’s always the image of the Sound of Music, trying to bring kids up and let them learn the ingredients of the scales, so they could put together the music and know how to listen to it. I have a son who played the euphonium in band for a while, and my daughter played violin. They’re much older now, much more into art and business. My youngest son likes singing songs and stuff. He goes to preschool. It seems like you never sought out the spotlight, that you were either content or agreed long ago to let Pharrell be the guy at the front of the stage. How does it feel? Do you feel famous now, and have you come to terms with it? I do feel famous. I’m content with it. I also don’t feel famous at the same time. It’s good to just make an impact on people’s lives when you share the talent. Whatever magnitude is the result. Is there anybody that you’re working with these days that you want to shout out, or any artists that you’re listening to? We’re going to be in London and I’m supposed to be in the studio with Rex [Orange County]. I like some of the songs he’s doing. I have to ask you about Pusha T and Drake. Does your relationship with Push give you any unique perspective on the situation? After the [N*E*R*D] album came out last year, did it inspire you to release more material? 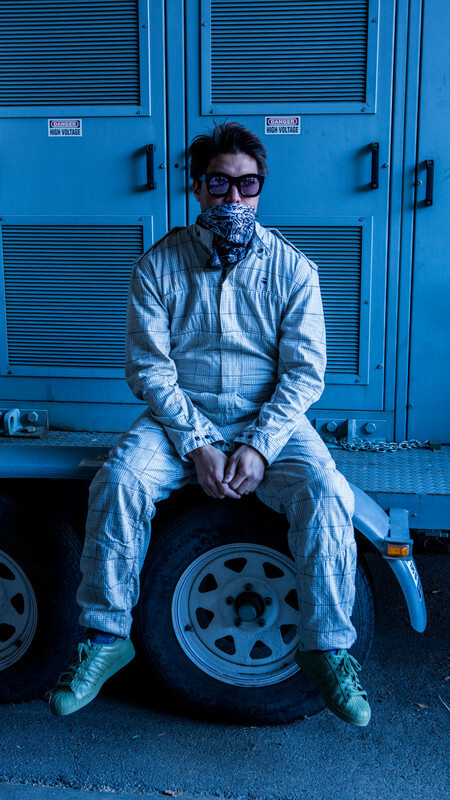 Do you have any plans to be Chad Hugo the solo artist? Making music, it’s a collaborative effort. Being interactive with people like family members or people who walk by and using samples and stuff, that makes it much more gratifying to be collaborating with somebody. I don’t really have any desire to make music like, “It’s time to break out and be a solo artist!” I make it just to make it. It takes a lot of planning. If things happen, then things happen. I want to be a better horn player, and be a better guitar player, and I don’t know if I’ll ever reach that apex. Are you gathering samples on your own at all? What’s your digital diet on a day-to-day? I used to have this recorder, the 4-track Tascam. During the weekend I would listen, take sounds, and put something together. That was one way… I would make commercial sounds. I had an office at a place called Studio Center and I was making all these commercials. That was one phase. What about on a media level? Is there a routine for you every morning in terms of listening or reading? The other day I picked up The Art of War at Costco. I’ve never read it but I’ve seen it on people’s shelves all the time. What was it like reuniting with N*E*R*D last year after such a long break? I told Pharrell I don’t want to be a part of a band called N*E*R*D anymore. It wasn’t about the members of the group. It was just like, I don’t want to be in a band called N*E*R*D People are dying, little kids are dying. That was my frame of mind, people are getting shot. They were like, “Don’t you wanna play on it?” I finally said okay—we were at Conway Studios in Los Angeles. There are trees everywhere, and outdoor areas. The music was something Pharrell put together prior to those dates, and it was when we simultaneously started working with Justin Timberlake. So we were working on that, and working on N*E*R*D stuff. And the whole idea of N*E*R*D, being in a band called N*E*R*D —you’re kind of a part of it, selling that product, selling that title. I’m pretty much a nerd in the fatherhood aspect of it, trying to be as smart and righteous as much as I can. And it sounds like you had some reservations about that, in terms of current social issues. Could you talk a little more about that? It’s just frustration. I used to be a gun owner… it’s about training and teaching. There are these kids who are taught how to handle guns and taught how to handle firearms. It’s just a shame. Do you think a parent should be punished if a kid goes into their closet and grabs their firearm? I think they’re already punished when the kid gets in trouble. The parent should’ve been knowledgeable enough to keep things locked up. More gun control. More metal detectors. They need to figure out to have more metal detectors in schools. What’s one thing in 2018 you’re looking forward to? Better health. I’ve been vegan for a year and a half and I’m still struggling with it. I’m not going to lie, I had Shake Shack last night. I had a Chicago Dog.